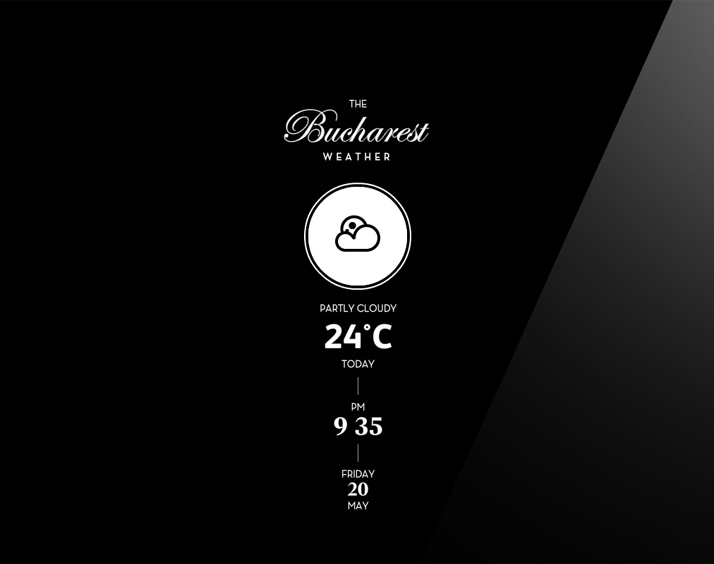 Based in Bucharest, Romania, Stefan Trifan not only is the creative director and owner of the visual communications studio SilkEight , but he is also a talented digital weather forecaster! And if you are wondering how this can happen, the answer is simple. Through his latest screensaver design, made for Mac OSX, which provides a two-day forecast (Now, Today, and Tomorrow) of your selected city’s weather. 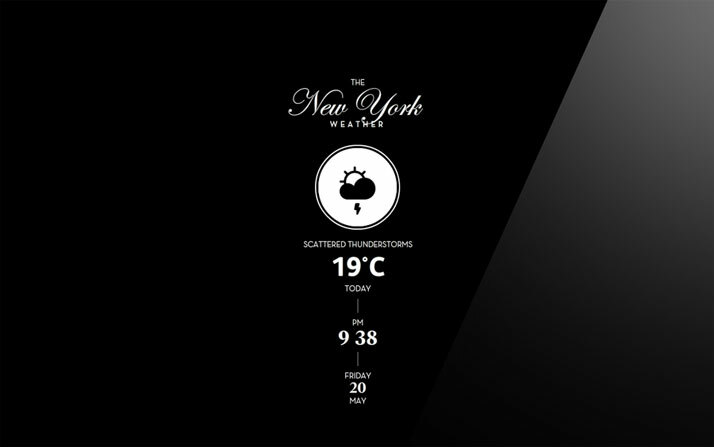 The system is based on Yahoo Weather Forecast and off the record on ''Yatzer's aesthetics!'' 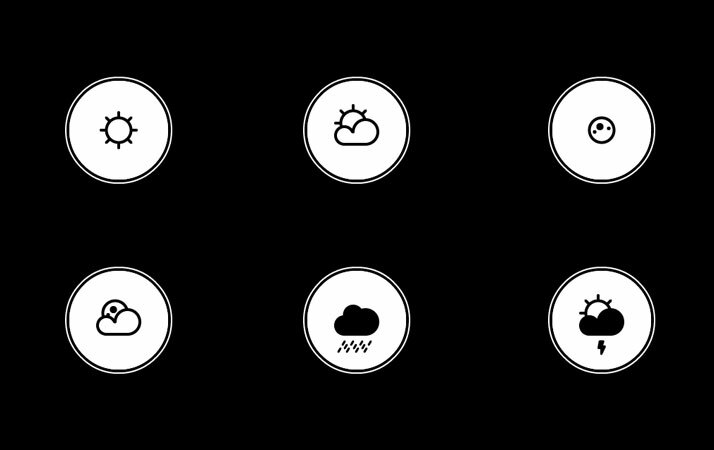 Having the most elegant custom weather icons, a simple animation, a minimalist Black & White concept and a unique typeface it serves all the conditions for a worth FREE download! Nonetheless, it has one disadvantage... You won't be able to listen to Stefan's voice while broadcasting the weather conditions in your city! With more than 130 cities worldwide, if you are a Mac user, all you need - except having Internet Connection - is to choose your city and download your screensaver. 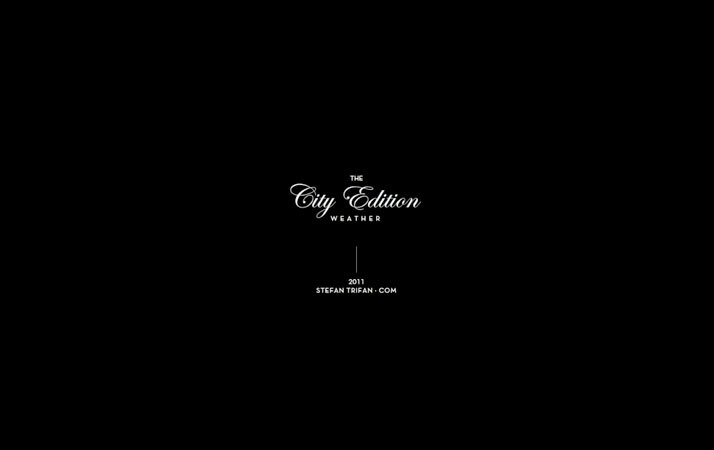 However, if your city is missing from the list, send your request to [email protected] and you will receive your custom edition by Stefan faster than the ray of light! That's what we did for the Athens*GR Edition, so if you are based in Athens simply click on the following picture and save it! For any other city in the world please download the screensaver by clicking here.